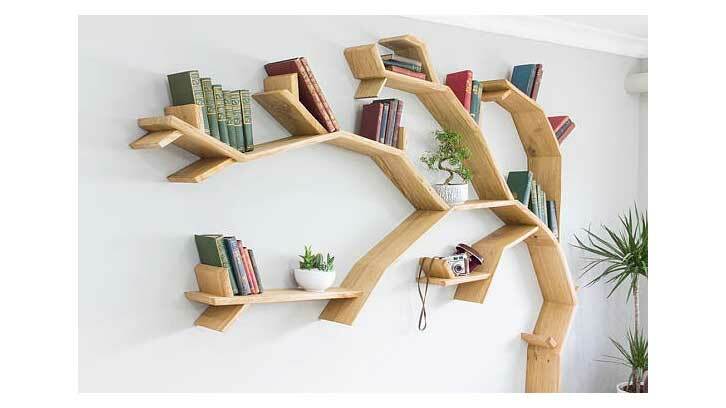 An oak tree shaped bookshelf is a pricey, but awesome gift idea if it’s within your budget. The shelves are expertly crafted using the highest quality wood. 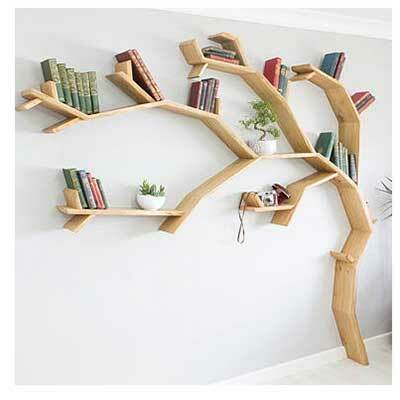 This tree shaped bookcase has customers raving. The design is made with the highest level of craftsmanship, so it does take some time for the company to make. While this is a home run gift make sure you order in advance and see if the company will be able to finish the product by the time you need the gift. If they can’t finish it in time you can always do what my family does. Just print off a picture and say this is what you’re getting. While it’s not quite as exciting at the time it will be worth the wait! Because each tree shaped bookshelf is handmade, they are each unique and have their own individual character. The trunk of the tree measures about 44mm (1.73 inches) thick. The Tree branches measure about 21mm (0.83 inches thick). The depth of the shelves is 180-200mm (7.1 – 7.9 inches) depending on if it is a primary or secondary shelf. The weight of the bookcase is about 25kgs (55 pounds) complete and can hold over 150kg (331 pounds). This bookcase is seriously impressive. If you have thoughts or questions leave them in the comments, thanks!